Lead & Nickel Free!! 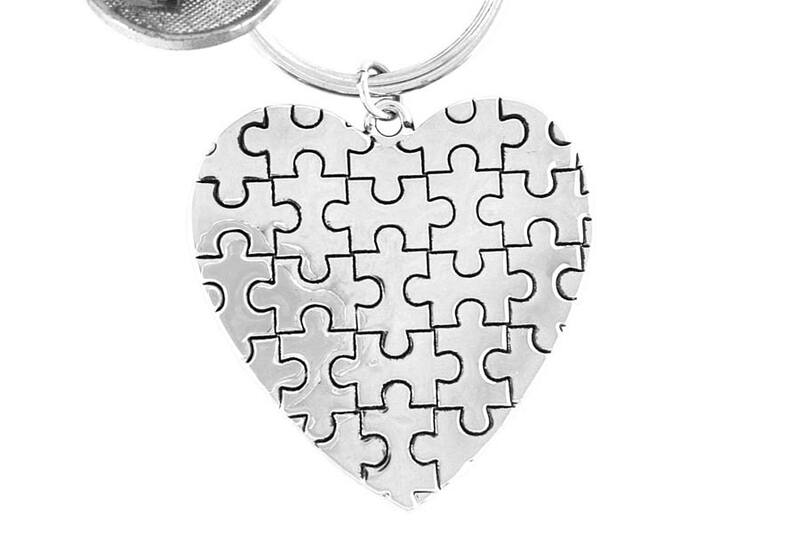 Silver Tone Key Chain Suspends An Autism Awareness "Puffed" Puzzle Piece Heart. Key Chain Also Comes With A Lobster Clasp For Easy Clipping To Jeans, Inside Of Purse, Satchel, And More! 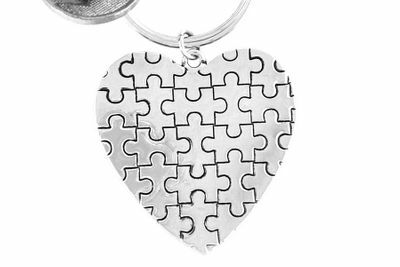 Key Chain Measures 4 1/2" x 2 7/8".